The SLIDER4 Quad Slide Potentiometer Card has four slide pots each with a red LED in the tip of the slider. Slider positions are reported to the host with 10 bits of resolution. 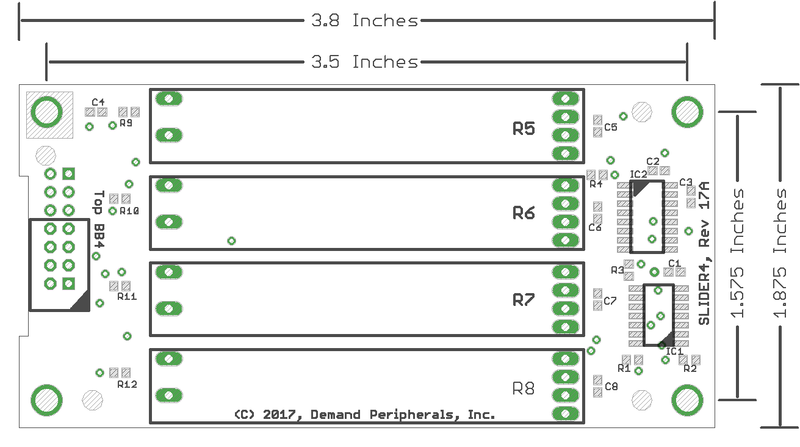 t The schematic and layout of the slider4 are shown below. The Eagle schematic and board files available here: slider4.sch and slider4.brd. The bill-of-materials is available here: slider4.txt.